There are basically two types of car buyers that Honda dealers see on a day-to-day basis: the ones that want a new car every couple of years, and the ones that want to pay theirs off quickly and then ride it into the ground. For that latter group, it’s important to invest in a vehicle with a reputation for lasting as long as possible. 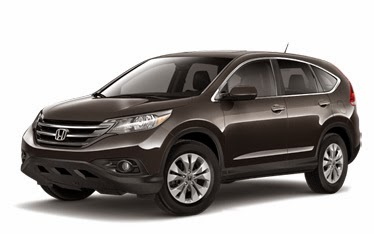 Honda vehicles are generally well-known for being reliable, but in a recent list by Forbes putting together the “10 Cars That Will Make It Past 200,000 Miles,” one Honda model really stood out from the rest: the 2014 Honda CR-V.
Obviously, our best-selling crossover is beloved for a number of reasons, from its spacious interior to efficient engines to modern technology, but the fact that it has the ability to drive for so long makes it a great purchase, not just for people looking at new cars, but for those checking out used and certified pre-owned ones, as well. In some cases, consumers won’t even consider buying a used car with, say, 100,000 miles on the odometer. In this case, though, that vehicle still would have over half of its life to live. According to Forbes, the CR-V is 64% above average in terms of reliability, which is a huge deal for people looking to purchase a car that will last for a really, really long time. Honestly, any Honda vehicle will prove to be reliable and long-lasting, but the CR-V is apparently even more so than its siblings. That’s great for Honda, and it’s great for Honda customers.